The General Data Protection Regulation (GDPR) came into effect on the 25th May 2018. 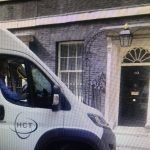 Hounslow Community Transport has revised its Data Protection Policy and reviewed its processes to ensure that we are fully compliant with GDPR. To view the HCT Data Protection Policy, click on the link under the heading ‘Useful Links’ on the homepage.